The Stationers’ Company, founded in 1403 and incorporated in 1557, dominated London’s trade in printed books during the sixteenth and seventeenth centuries; following the loss of its monopoly over printing in 1695, its regulatory powers diminished, but it retained a vital role in the life of the London trade, not least through its lucrative joint-stock publishing venture, known as the ‘English Stock’. Among its members can be counted nearly all of London’s leading printers and publishers, and its roster also includes thousands of lesser-known men and women in the trade: type-founders, compositors, printers, publishers, booksellers, and bookbinders. The Company’s importance has long been acknowledged by scholars, but its activities and influence have often been misunderstood. This course will survey the shifting role and character of the Company up to the Carnan court case of 1775, and will also provide a practical guide to using the Company’s key records in their manuscript and edited forms. Topics include: the Company’s structure, regulatory powers, and membership; the Stationers’ Register and other records; the ‘English Stock’; the Company’s relationship with authors; its relationship with other London companies as well as city and national authorities; and its corporate identity. Ian Gadd teaches this course, as "The Stationers' Company to 1775." Ian Gadd & Michael Turner co-teach this course, as "The Stationers' Company and the London Book Trade to 1830." Peter Blayney teaches a precursor course, "The Company of Stationers to 1637" (1995); "The Company of Stationers and the London Book Trade to 1637" (1996). 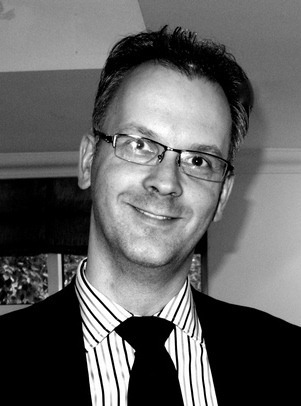 Ian Gadd is a professor in English literature at Bath Spa University. He is currently President of the Society for the History of Authorship, Reading, and Publishing (SHARP). He is a General Editor of the Cambridge Edition of the Works of Jonathan Swift, and also a volume editor for the History of Oxford University Press. His doctoral work focused on the Stationers’ Company, and he has taught courses on the Company at both Rare Book School and the Folger Shakespeare Library.